Portlandia gives an over-the-top portrayal of Portland residents. Ever since comedians Fred Armisen and Carrie Brownstein created a show that parodied the lives of Portlanders, viewers and PDX residents alike have cringed and delighted in the show’s portrayal of Portland life. Portlandia has garnered quite a following through its hilarious sketches that feature the incredibly hip, alternative and quirky Pacific Northwestern city, and the antics that ensue in Armisen and Brownstein’s character portrayals beg the question: Is Portland really like that? Some locals can find humor in the show’s over the top portrayal of PDX residents. Feminist bookshop owner Amber Rowland told the New York Times, “I’m part of what it’s making fun of as well. There’s a kernel of truth in it, and it’s O.K. to roll with it,” she said, explaining that for some, it’s best to embrace Portlandia’s hilarious scenes rather than to criticize the creators’ intent. However, other Portlanders aren’t so sure. Artist Kirk Crippens recently decided to challenge Portlandia’s portrayal of the city and its locals, by embarking on a portrait project. To this end, he captured intimate photographs of “real” Portland residents in order to prove that the city is more than a “crunchy” indie paradise, according to the Huffington Post. 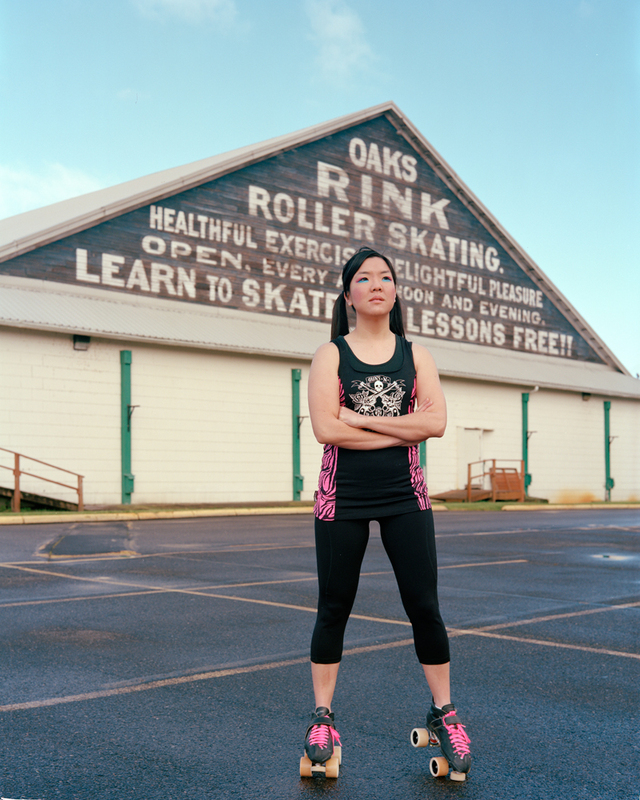 Ironically, with many of the photographs featuring images of tattoo-clad, costume wearing, bearded, and pierced folks, Crippens’ project also serves to prove that some of Portlandia may be a spot-on portrayal of Portland’s residents. The photographer’s project is entitled “Portraitlandia,” an obvious play off of Armisen and Brownstein’s hilarious, somewhat accurate version of Portland, Oregon. It features beautiful photographs of a diverse and alternative-looking collection of people, of which there is a clown, a nun, a roller-derby player, an elephant, and even the mayor of Portland, Sam Adams–among many others. Take a look at Crippens’ “Portraitlandia” gallery to decide for yourself whether or not the portraits of Portland’s quirky residents fall in line with Portlandia‘s version of the city. 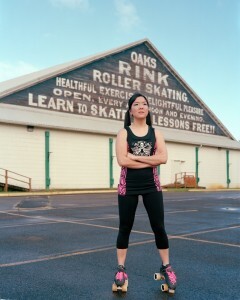 Many thanks to photographer Kirk Crippens for granting permission to use “Harajuke Girl” in this article.